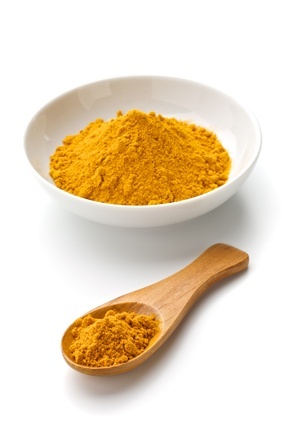 One Percent Health: Can Curcumin Lower Blood Sugar? Turmeric is one my favorites spices. It adds a wonderful nutty flavor to foods and sauces. Plus, it’s medicine. Its key compound, curcumin, is a natural anti-inflammatory and antioxidant. I consider curcumin to be a foundational nutrient for anyone who is serious about their health. And now we may be able to add sugar management to curcumin’s list of benefits. New research suggests that curcumin-rich extracts of turmeric may help manage blood sugar levels in people with type 2 diabetes. The study is a good one, by the way — double-blind and placebo-controlled. Let’s take a look at what the researchers discovered. Insulin directs blood sugar into your cells where it belongs. However, if insulin doesn’t work than sugar builds up in your blood — the defining mark of diabetes. One potential reason for the loss of insulin function is high levels of fat in your blood. This is called hypertriglyceridemia. Turmeric, specifically the curcumin found in it, helps to reduce the amount of fat in your blood, which may improve insulin function. Patients with type 2 diabetes were assigned to 300 mg/day of turmeric, standardized to 98% curcumin, or a placebo. This is awesome news. Diabetes effects 24 million people in the U.S, equal to 8% of the total population. Unlike the extract used in the study, most standard turmeric extracts contain a poorly absorbed form of curcumin. This means that you’d have to take higher doses to get enough curcumin into your system. Studies show that one 400 mg capsule a day of this turmeric compound can provide curcumin blood levels equal to ingesting 2,500–2,800 mg of commercial curcumin supplements. And not only does this turmeric formulation provide far greater peak blood levels, but the curcumin remains in the bloodstream almost twice as long as conventional supplements. Also, this enhanced absorption delivery complex provides other beneficial turmeric compounds in addition to standardized curcumin. If you want to make sure you’re taking the right form, just call our health advisors at 1-800-226-2370 - they'll be happy to help you figure it out! Mol Nutr Food Research. 29 AUG 2012L-X. NA. doi: 10.1002/mnfr.